BestCompany.com is trying to work directly with this company to verify the accuracy of the information on this page. Thank you for your patience as we make sure we’re getting it right. Starting as just a single computer service technician in 1985, Rescuecom has over 20 years of experience in the computer and IT services support business. Providing a wide range of tech support services, across multiple platform, for both home and business customers, Rescueom seeks to provide quality service through a variety of support services methods including over the phone, onsite, and over the computer system and software. Rescuecom offers two main monthly packages for its users but neither one is customizable and one-time assistance service is not offered. Rescuecom provides a wide range of technology support for both home and business users. 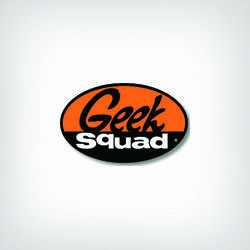 With the help of certified level-3 technicians, Rescuecom customers receive assists for their computer repair needs including tech support, laptop repair, virus removal, data and system recovery. Additionally, Rescuecom assists with all network support including the planning, implementation, support and maintenance of internet security systems, business IT and home network systems solutions. Rescuecom strives to meet the varying needs of their customers by providing multiple, convenient, types of tech support assistance. 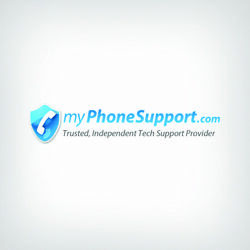 These types of tech support assistances includes remote assistance, iProtector software support, call center technicians over the phone, or onsite support, customers can select which type of service will best meet their personal schedules and computer/IT technology needs. Through Rescuecom's signature iProtector support service, users receive immediate tech support by utilizing this cloud-based repair technology. Users simply type in what they need help with and submit a request for assistance. 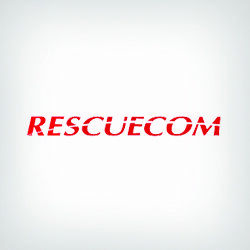 Rescuecom technicians will then call the user and connect to their machine to quickly solve the problem for the individual saving time and making the overall tech support process easier. Rescuecom knows that a computer crisis can happen at any moment. By providing 24 hour a day, seven days a week, computer support for all customers, no matter what device experiencing trouble a level-3 technicians can provide tech support anytime. With a click of a button, a phone call, or onsite visit, a customer's stress will be limited and solutions provide. Rescuecom's anytime service commitment is particularly helpful for business experiencing IT and network problems. By receiving assistance right when it's needed a business is ensure the tech relief it needs to continue to function smoothly and stay open for business. At this time there is no one-time tech support service options being offered by Rescuecom. Instead monthly service subscription packages, ranging from $29.99 to $49.99 monthly, are offered for both home users and businesses. Each Rescuecom home or business customer chooses between two packages that comes with a variety of tech support services. The "Home" package is priced at $29.99 per month and the "Business" package is $49.99 per month; however, this is not the only fee that customers will need to pay. There is also an additional $19.00 membership fee for the "Home" package and a$198.00 membership fee for those on the "Business" package. Rescuecom provides two monthly packages for their customer to choose from. These packages are broken down into a $29.99 per month "Home" package and a $49.99 per month "Business" package. 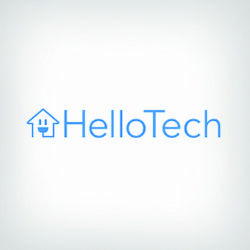 Each package is preset with specific tech support items and customer service features but neither package, at this time, can be customized to meet varying circumstances, situations, or needs of a home or business customer. Customers will enjoy Rescuecom if they want frequent, easy to access, computer technology assistance across a wide range of service areas. Additionally, customer that enjoy basic predetermined packages for their home or business needs, and onsite technician assistance, will find Rescuecom a great fit for their many computer and IT needs. Customers looking for customizable monthly service packages without membership fees or a one-time service for their home or business computer technology and IT system needs should not consider using Rescuecom.